Email marketing is just as effective today as it was years ago. In fact it’s even more effective and profitable now than ever before. Having someone on your email list is just the first step in the engagement and marketing process. Factor in the many different ways that you can target a subscriber (based on their email address and pixel tracking) and you have a wide range of options with remarketing and advertising to them through social media after they’ve join your mailing list. In short, there is a whole world of opportunities out there for growing, nurturing, engaging with your audience through a mailing list — but you need to make sure the engagement, trust, and messaging first in place. What we are commonly seeing with many companies doing email marketing, is that they try to grow a mailing list and just want to make money and pound the list non-stop with advertisements and call to actions. This might have worked in the past in a church and burn style, but now it’s just a disaster waiting to happen and usually flushing money down the toilet. If you want to create a real brand or business while utilizing a mailing list, you will want to have a formula in place that is proven to deliver results time and time again. Just like any website or online business, you need to treat your mailing list like a business in itself. Your subscribers are real people and they are looking for value and you need to provide it to them in many different ways. The best branding and email marketing experts in the world aren’t just sending out messaging to their lists, they actually have people that are excited to receive their latest mailings and can’t wait to see what’s in them. To achieve these results, be sure to implement the five email marketing best practices to improve return on investment email conversions in 2019. With so many ways to grow a mailing list and bring in new subscribers on a daily basis, everyone should have a list that only goes in one direction, which is up. Whether you are using website content and traffic from the search engines, social media, or even paid advertising… it’s all about making sure you have more new subscribers joining your list daily vs how many people are unsubscribing. It’s simple math and once you have a proven traffic source or formula that works, you can truly grow your list at quite a rapid rate. If you continue to follow the steps that we lined up for you below, there won’t be many reasons for people to click unsubscribe when they receive your latest mailings. How many times do you receive an email message or a newsletter on a daily basis and simply read it, then delete it? It probably happens all the time and this is usually because the brands sending such messages out are simply pushing their content and not giving the opportunity for their subscribers to reply back. Yes, they can click reply, but the messaging and engagement isn’t there. If you want to see an industry where people are doing this correctly, take a look at any of the top bloggers in the internet marketing space that not only have found success, but also have a loyal following on social media and are loved by thousands. When writing you’re next newsletter ad copy, try and make it a two-way conversation and leave an open-ended question at the end of the email. You might be surprised with how many people actually respond with a question, a comment, or just to let you know how they have been doing in their own daily activities or business. Another great tip to remember is to include personality and a real person behind your brand. There are enough ‘businesses’ online, and people are kind of sick of being treated like a number and just a customer. The best advertising and messaging comes in the form of personal recommendations and through content that the end-user is actually interested in. By having a voice or an identity associated with your business or brand, you will be that much more relatable to your audience, while also improving the trust and authority associated with your brand and mailings. Again, you can reflect back to any professional bloggers or popular site owners that have been able to establish a brand for themselves and use their own face and name within their newsletters. These are the type of messages that people actually want to receive are more than willing to respond to — thus why they have also been able to branch out from just a ‘blogger’ or ‘marketer’ to a full blown brand. No matter how great your ad copy or title is, if your email is sent into the junk folder or even in the non-important folder within Gmail, no one is going to read your message. To fix this problem, it’s important to continually split test different titles and written ad copy before actually sending out to your list. You can easily set up an email address on multiple platforms and see if your latest mailing is going into the spam folder, general mail, or your most important mail. Some hosting solutions and delivery platforms can also provide these services as well. This will take some extra time, but it’s well worth it and you will see a huge jump in your open and click rates versus if your message was to end up in the spam folder. 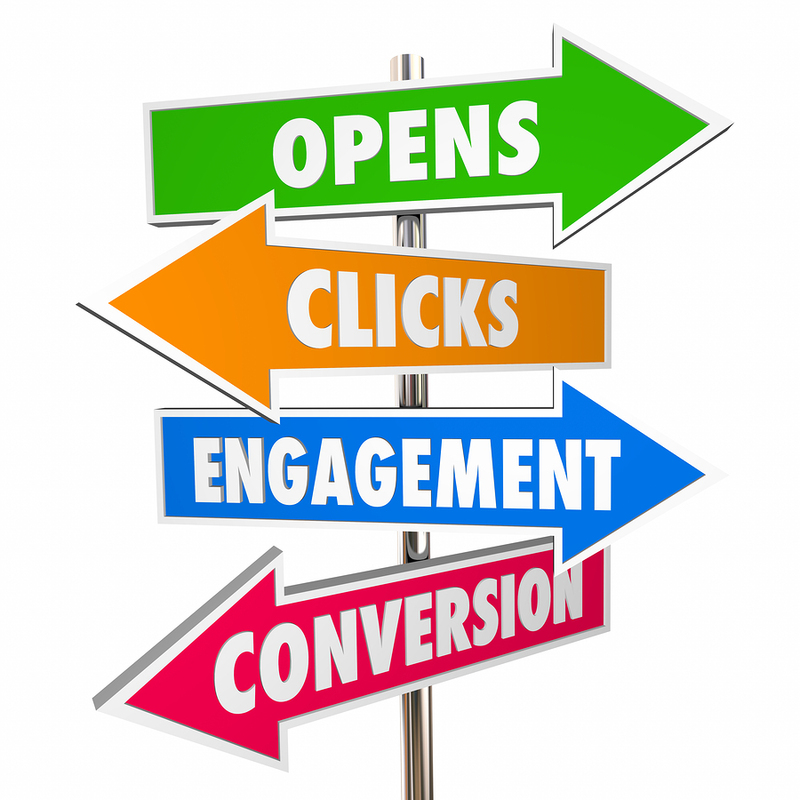 When someone opens up your newsletter or email marketing message, how many options are you giving them? The last thing you want is for someone to find themselves overwhelmed and then just close out or delete the email. This will immediately result in lower conversions and more unsubscribes. Just like a landing page, you want to make sure your mailing efforts are not going to waste by providing too many distractions to your end user. Text-based mailings still perform extremely well, but there are times when fancy graphics and images work nicely as well. If you are going to stick with basic text newsletters, its a good idea to play around with some text content and then a graphic image that is clickable when it applies. As you can see, email marketing is evolving all of the time. The basics are still the same, but the engagement and messaging must change and adapt with how subscribers consume your content. Run through the list above and see what areas your mailing efforts might be lacking in. If you’d also like to learn more about how to double your mailing list size in the next 30 days, be sure to contact us about our opt-in lead generation services.